Arena Ready CrossFit - Hey What's You 2K Time? Hey What's You 2K Time? Oh man, some of you knew it was probably coming... a little change-up for our Saturday class. 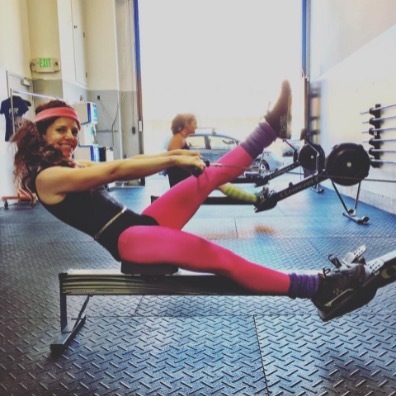 Yesterday's blog post containing Coach Hillary's rowing technique tips was the first (major) clue. Those who are entered in the Row'd Royalty competition know that the first WOD (which was released on Thursday) is a 2000m time trial - with an additional scored event as your time at 1000m... clue #2. And since we haven't done a "mini" rowing clinic in some time we figured what better time than now? It's also been a little over a year since we last tested the holy grail of all C2/erg time trials - the 2K. So, come on in and get your skills and drills learning on, and test (or re-test) your 2K time. And, oh yeah, how about a little "Half Cindy" for funsies too? You know, to send you off to weekend brunch with some real HANGER. Kathryn asks, "Is this how you do it, Hill?!"